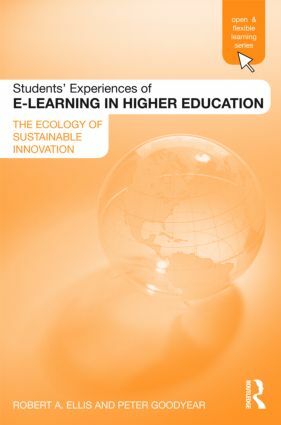 Students’ Experiences of e-learning in Higher Education helps higher education instructors and university managers understand how e-learning relates to, and can be integrated with, other student experiences of learning. Grounded in relevant international research, the book is distinctive in that it foregrounds students’ experiences of learning, emphasizing the importance of how students interpret the challenges set before them, along with their conceptions of learning and their approaches to learning. The way students interpret task requirements greatly affects learning outcomes, and those interpretations are in turn influenced by how students read the larger environment in which they study. The authors argue that a systemic understanding is necessary for the effective design and management of modern learning environments, whether lectures, seminars, laboratories or private study. This ecological understanding must also acknowledge, though, the agency of learners as active interpreters of their environment and its culture, values and challenges. Synthesizes key themes in recent international research and summarizes their implications for teachers and managers.